If you have built a corporate image and found that you need to make a change to settings in the registry you can edit the registry off line. In my case I use WSUS to deploy images so I had to find the image I needed to modify in WSUS, right click and select EXPORT IMAGE. I named that export WIN10-PreRDPFix.WIM . 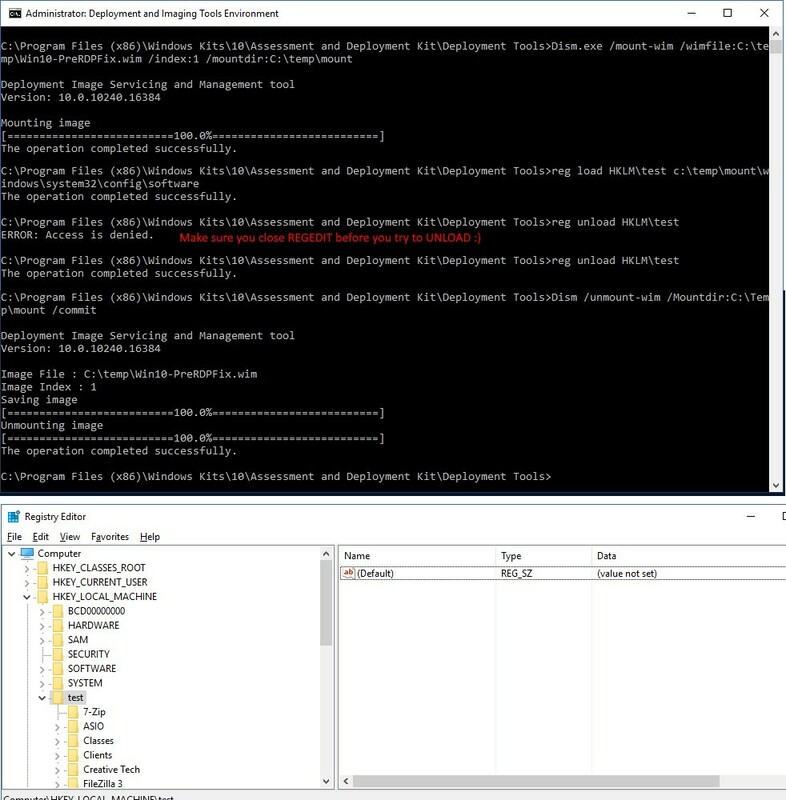 Launch DEPLOYMENT AND IMAGING TOOLS ENVIRONMENT as an administrator. If you do not have the deployment tools then click HERE to get them directly from Microsoft. 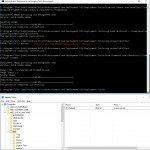 If you need to load a driver in an offline WIM image, including a PXE boot image click HERE for details. You might also find this basic DISM instruction from Microsoft to be helpful.